The program was signed into law by FDR 80 years ago Friday. At the time, most people had lost any savings they had during the Great Depression, leaving them with little for retirement. Some companies provided pensions, but they were a rare benefit. The program was largely uncontroversial, said Eric Yellin, a history professor at the University of Richmond. It sailed through Congress and was hugely popular all the way into the 1970s, he said. Things have changed. Now, Social Security is more of a political punching bag. As the presidential election heats up, reforming the program will undoubtedly be a hot topic. Here's what you should know to keep up with the conversation. 1. 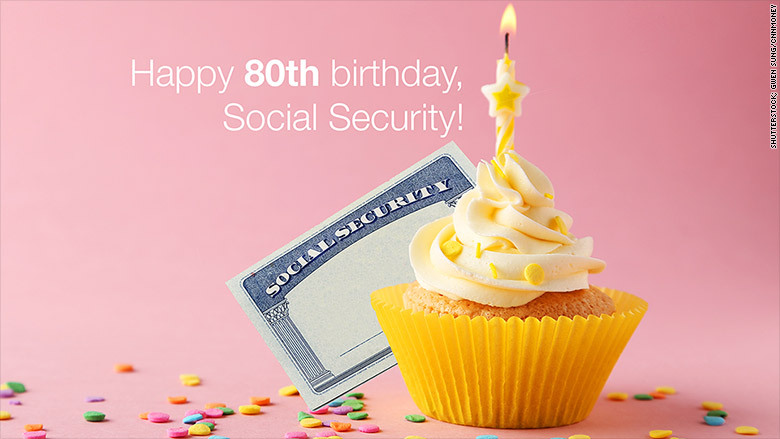 The average retiree gets 12 more years of Social Security benefits than she did in 1940. It's not just because we're living longer, but we're also retiring early, said Gene Steuerle, an expert at the Urban Institute. That's because in 1959, Congress created the "early retirement age." In exchange for reduced benefits, you can retire as early as 62. 3. So what is the retirement age? You have to be at least 66 years old to retire today and get your full benefit. The age is already going up. If you're 55 or younger today, you'll have to wait until you're 67. The Social Security website can help you figure it out. 4. There are fewer than 3 workers for every retiree. In 1960, there were 5 workers paying into the system for every person collecting benefits. It dropped to 3 workers in 2009, according to the Social Security Administration. And now it's even less. Thank the Baby Boomers and the Great Recession. 5. 60 million retirees get Social Security checks. In 1940, the first year benefits were paid, just 220,000 Americans were signed up. Since then the program has expanded to give benefits to spouses, widows and widowers. 6. Social Security never had a huge trust fund. And it was never "raided," Steuerle said, as many people believe. It's a pay-as-you-go system, so today's workers are paying for today's retirees. 7. But it will still be around for Millennials. While most 20-somethings don't think they'll be getting anything when they retire, that's probably not true. Even if Congress doesn't reform the system at all, Social Security will be able to pay full benefits through 2034, and then three-quarters of scheduled benefits through 2089. 8. The tax rate was lower in 1940. Social Security has always been funded by the payroll tax, but back then it was only 2% and was split between you and your employer. You weren't taxed on any wages above $3,000 ($48,700 in 2015 dollars). Now it's a combined 12.4% on wages up to $118,500. 9. Today's average monthly Social Security check is $1,221 and one in three people depend on it to cover 90% of their expenses. Your benefit is not based on what you've paid in. Instead, it's based on your lifetime earnings.